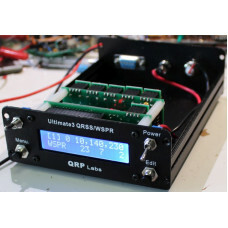 This is a deluxe set of kits containing all the kits you need to build a smartly boxed, GPS-disciplined, 6-band QRSS/WSPR modes transmitter using the Ultimate3S. The kits are easy to build, with through-hole components only (no surface mount soldering). Additional plug-in low pass filter modules are available for any of 13 amateur bands from 2200m to 6m. 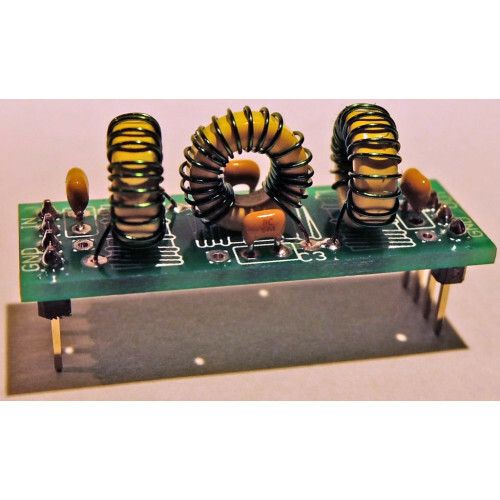 The kit can transmit on any frequency up to 150MHz, with the appropriate low pass filters. NOTE... LPF bands: if you want to have different LPF bands than the 6 listed above, that is fine! Please specify the required changes on the customer notes entry in the order form. NOTE... Receiver: if you add the receiver kit as an optional extra when you order, please note that the receiver kit includes a band pass filter kit. This is for your choice of any one band from 160m to 10m. Please specify which band you want for the band pass filter (BPF) in the customer note fields when you checkout. If you do not specify a band, by default we will supply the 20m BPF kit. NOTE... GPS: All the above kits will fit together inside the supplied enclosure. However the GPS patch antenna cannot work through a metal box! So you must either arrange for the GPS receiver to be outside in its own box, or you need to use an external antenna and run some coax into the box. Please read the manuals and understand your kits before purchase.